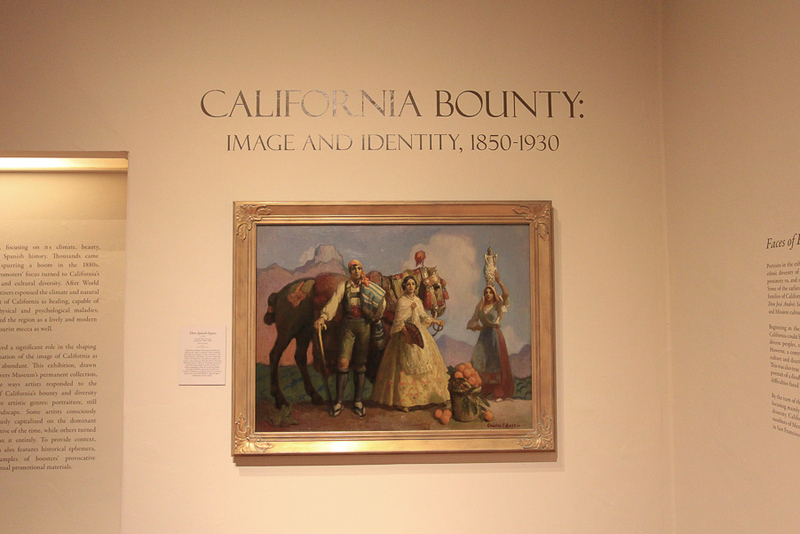 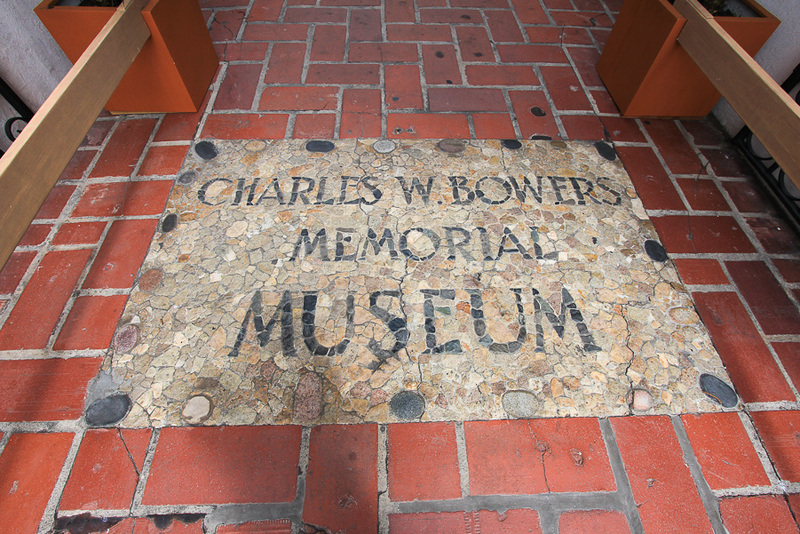 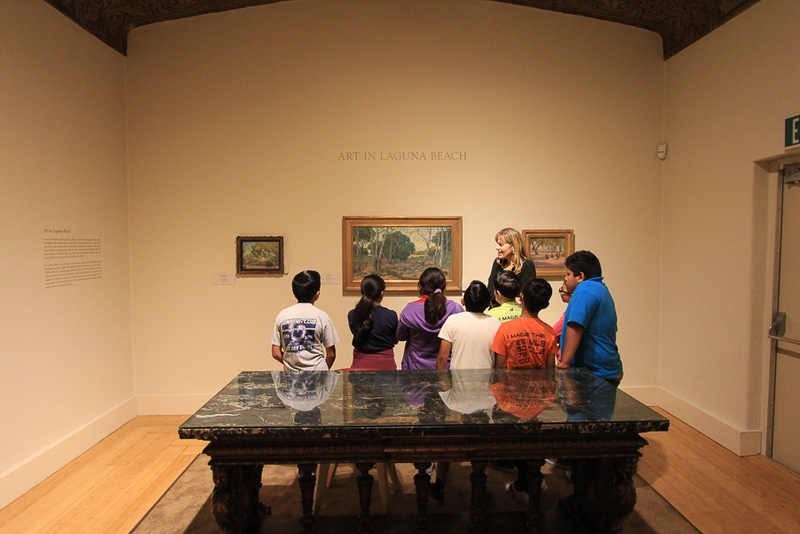 June 15, 2016 - We were back at the Bowers Museum in Santa Ana today to see their new exhibit, California Bounty: Image and Identity, 1850-1930. 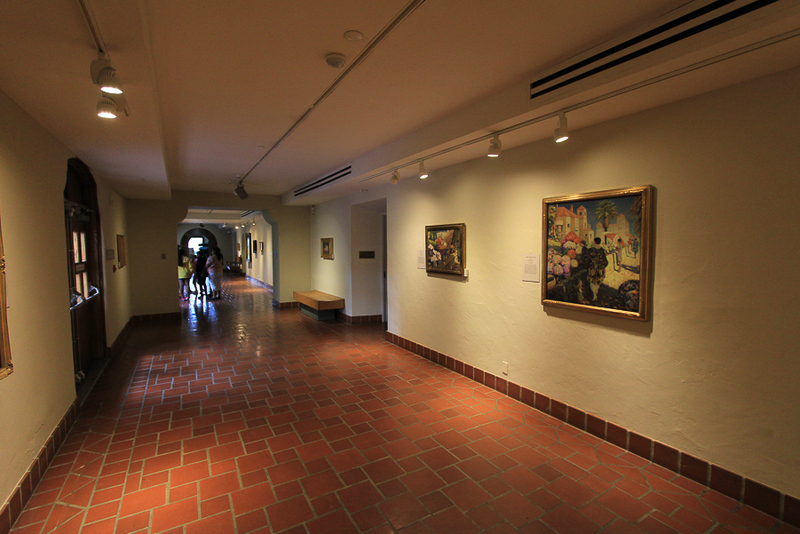 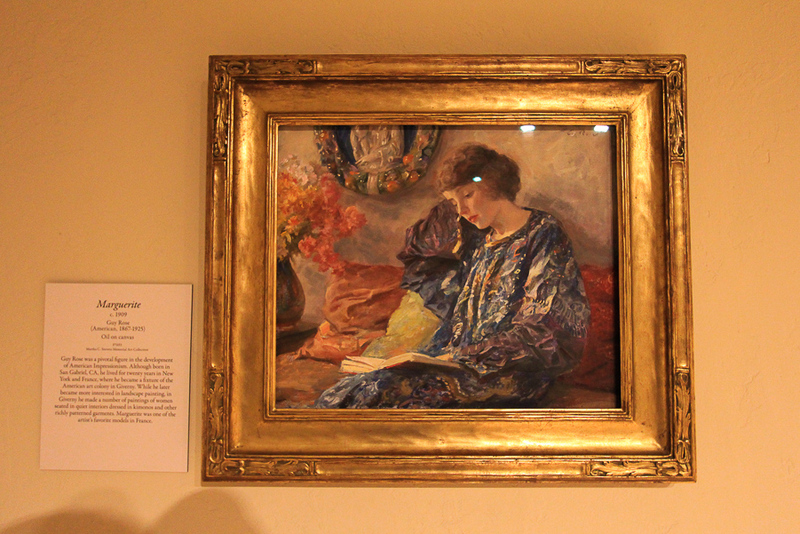 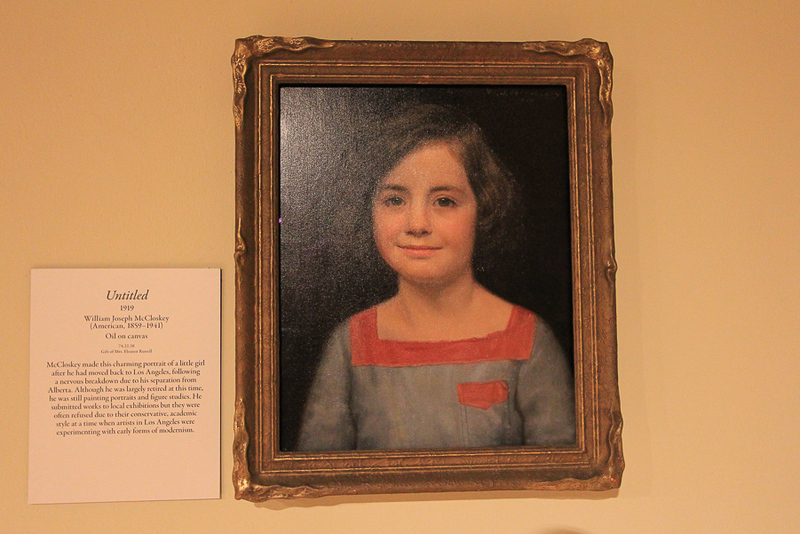 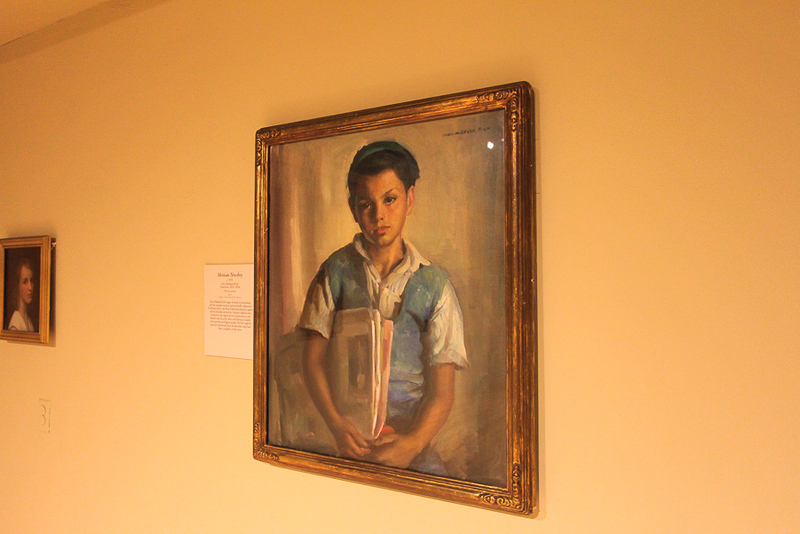 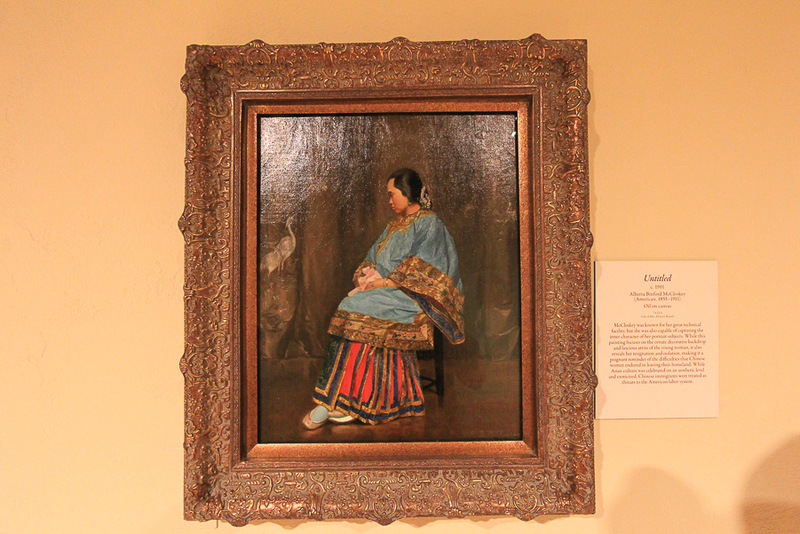 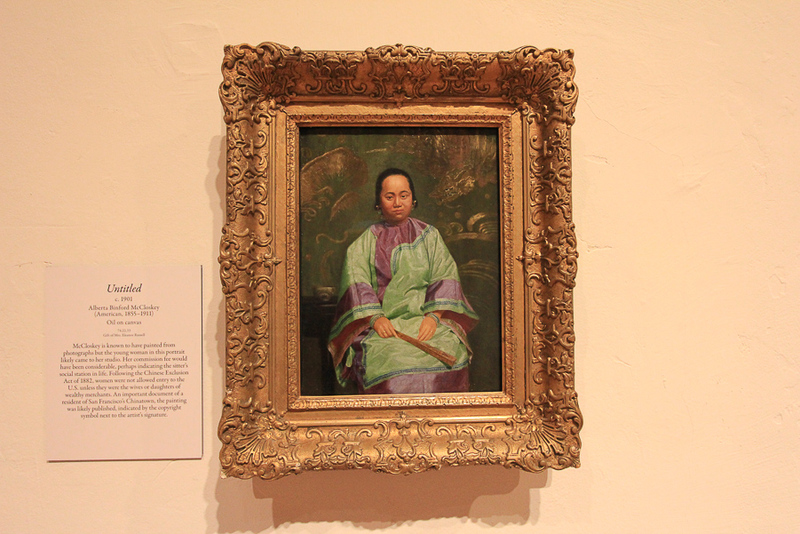 All of the paintings in the exhibit are from the Bowers' permanent collection. 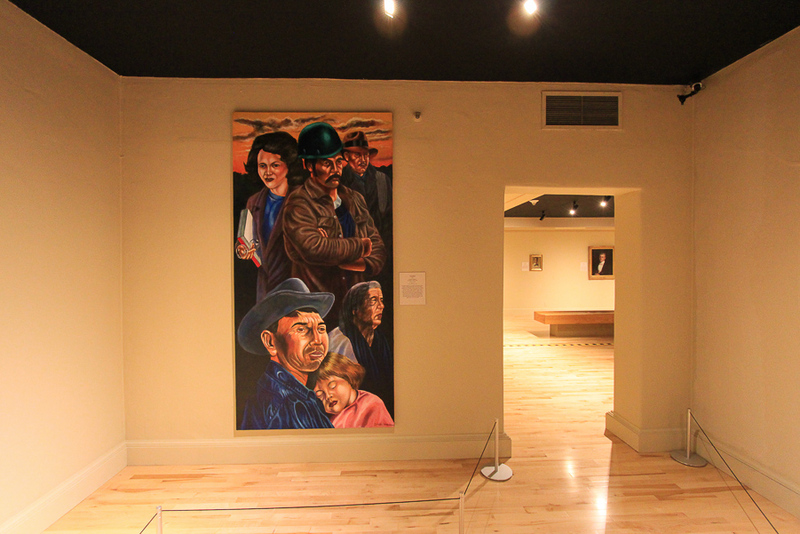 Each painting depicts California’s land, people and offerings as a place of produce and plenty. 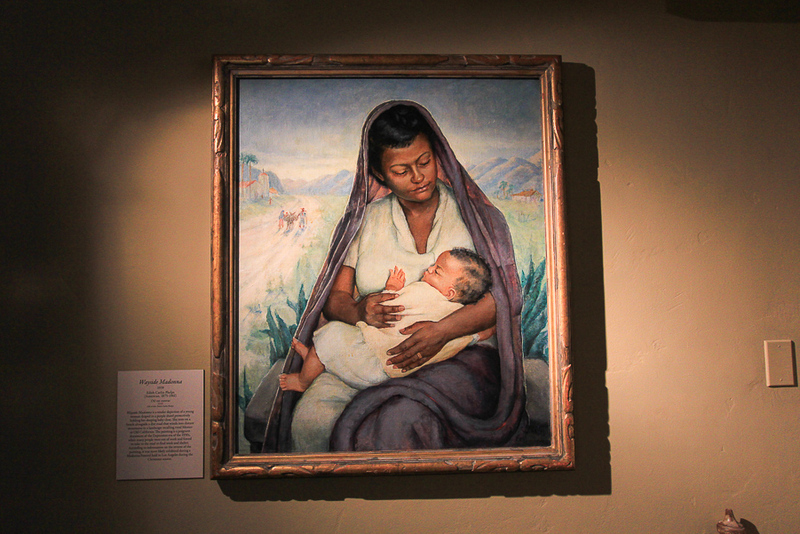 The exhibition includes works by early artists documenting the Mission and Rancho periods. 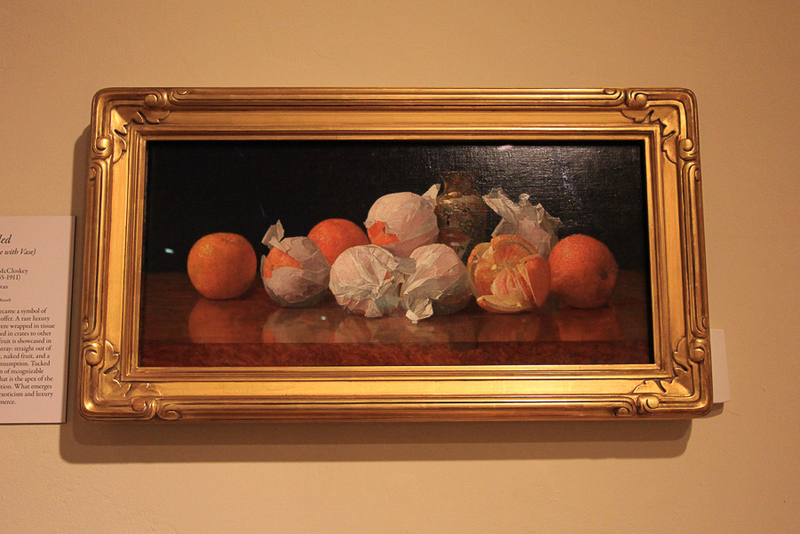 There are landscapes by plein air painters portraying California’s coasts and canyons, portraits and still-life paintings of flowers and paper-wrapped fruit by Alberta and William McCloskey. 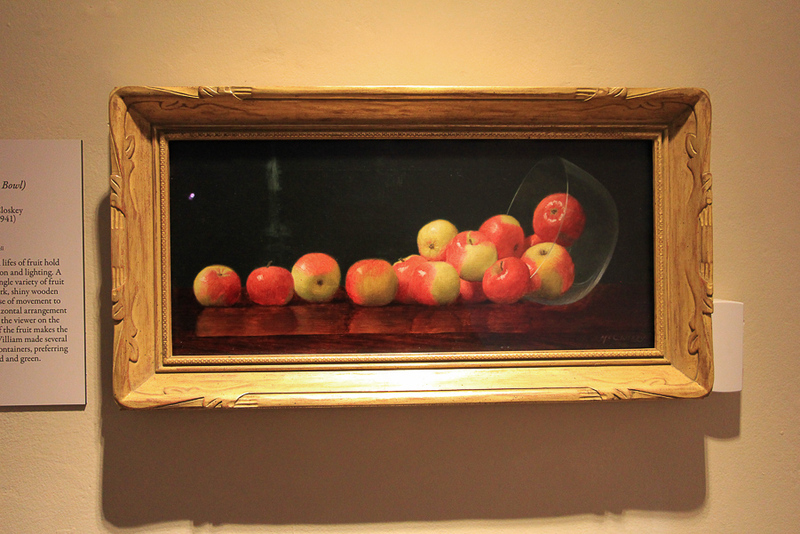 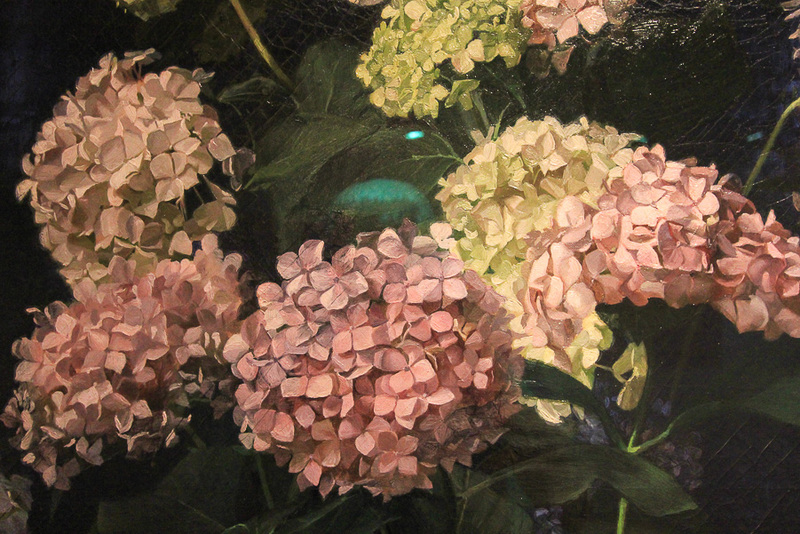 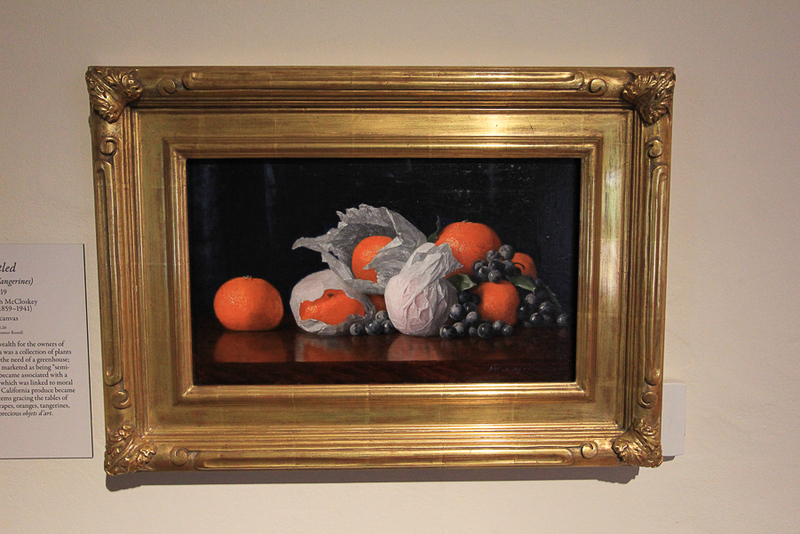 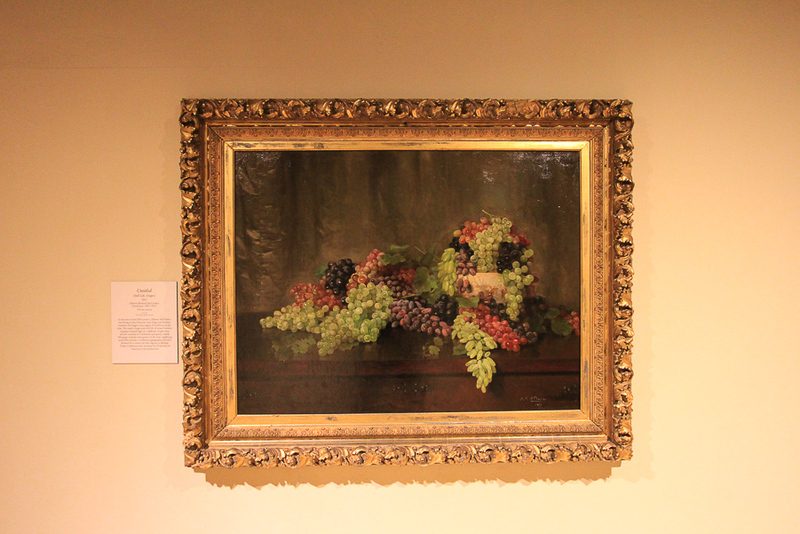 One of the major goals of American Nineteenth Century still life painters was to realistically render objects so that the human eye might be fooled into believing the objects were real. 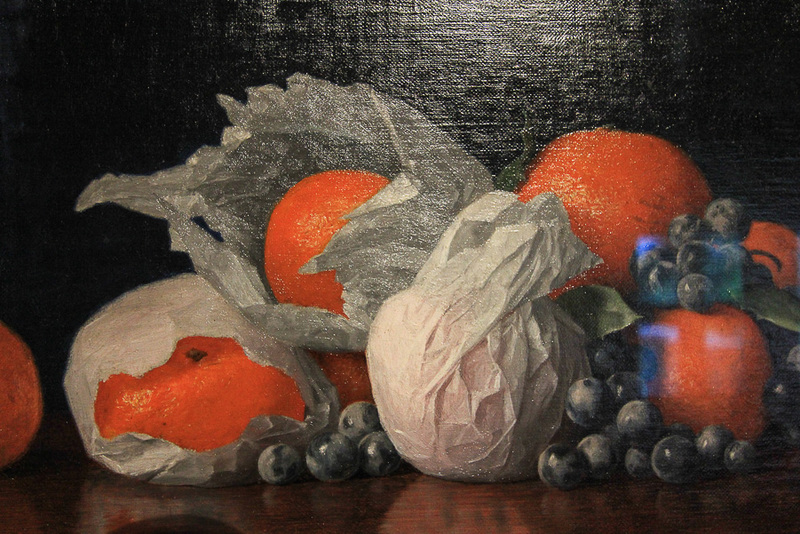 Art historians use the French term "troupe l’oeil," meaning "fool the eye" to describe such works. 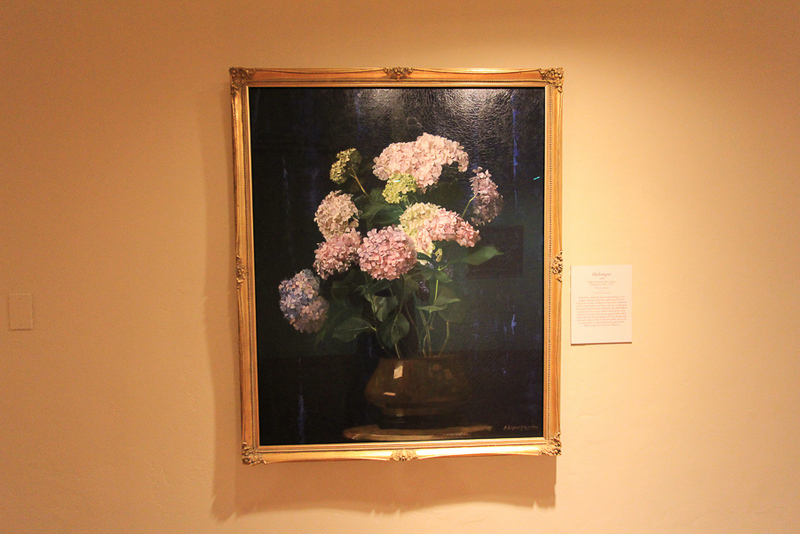 The California/New York painters, William and Alberta McCloskey, were masters of this kind of illusionistic painting and they made a big impression on the two of us. 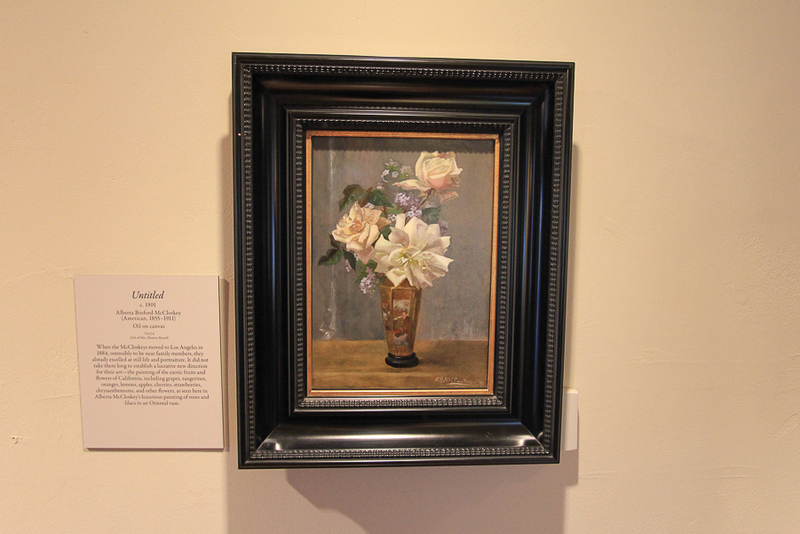 Many of their still life and portrait paintings are on display in this exhibit, some for the first time. 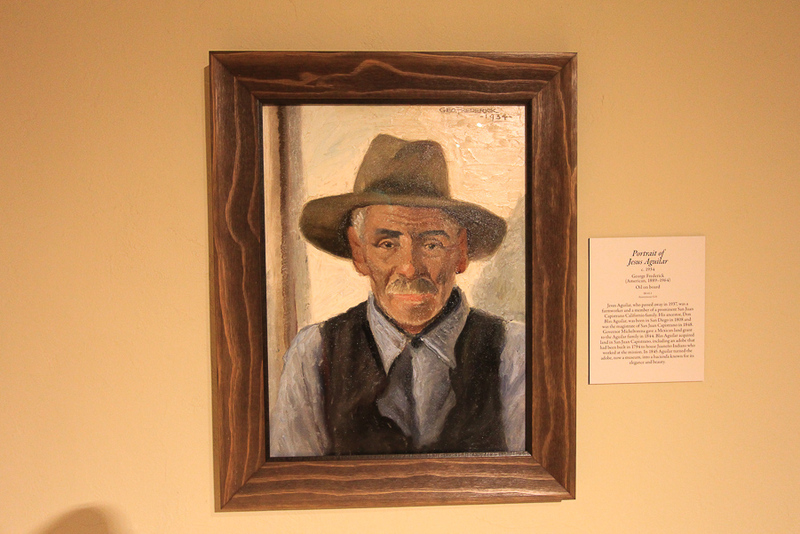 These five pictures below were painted by Alberta Binford McCloskey. 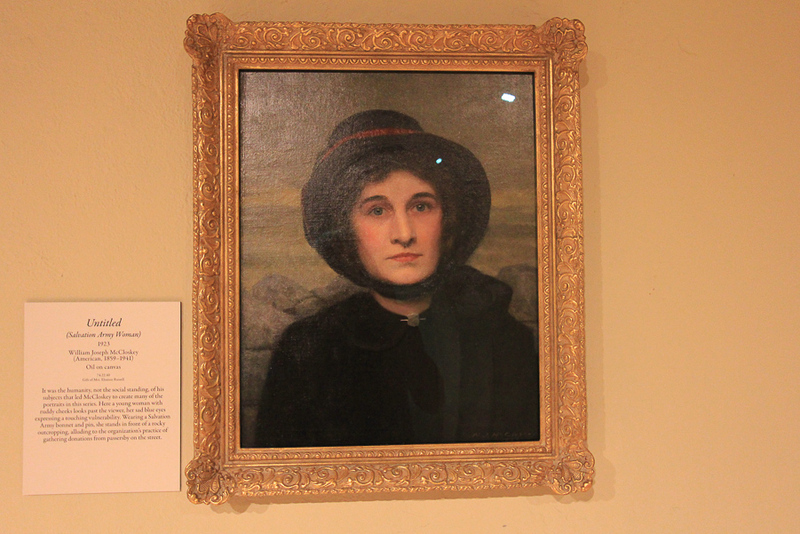 The six pictures below were painted by William Joseph McCloskey. 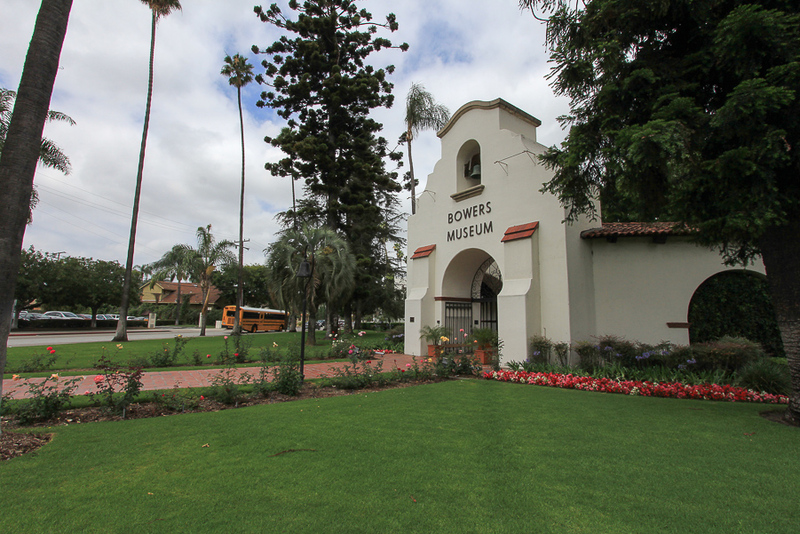 Before going to the museum we had our usual big breakfast at Norm's, located right down the street. 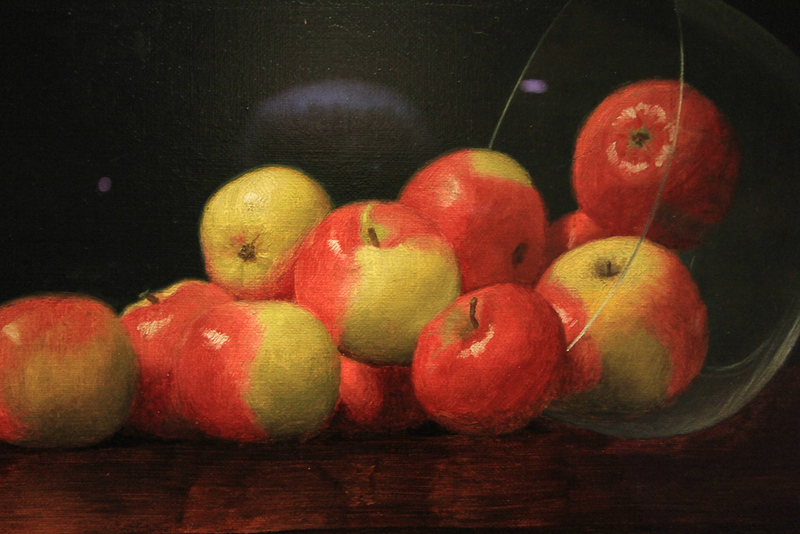 We won't eat again until tomorrow sometime.